The Cutaneous Lymphoma Foundation offers hope to people with cutaneous lymphoma by promoting awareness and education, advancing patient care, and facilitating research. 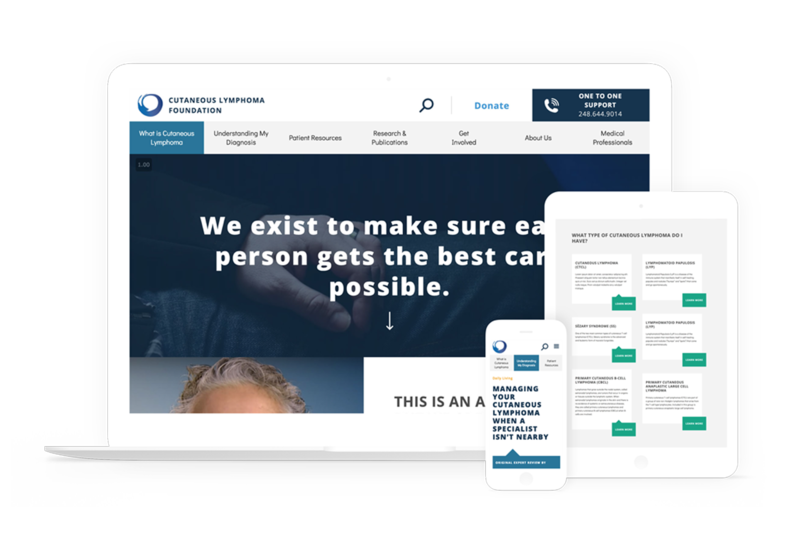 We worked with CLF on a strategy to move from their old site, which didn't speak to the needs of their users, to their new site, which guides users facing cutaneous lymphoma to a message of hope through clear, medically authoritative resources. We now provide ongoing support and maintenance for their Drupal-based site and its connection to Salesforce.